If there’s one dessert I never turn down, it’s pie. I’ll take pie over cake any day, hands down, and I don’t think I’ve ever met a pie I didn’t like! I would probably eat it every day…if only it had no calories and gave me a six pack (I can say from experience, neither of those are true. Sadly.) 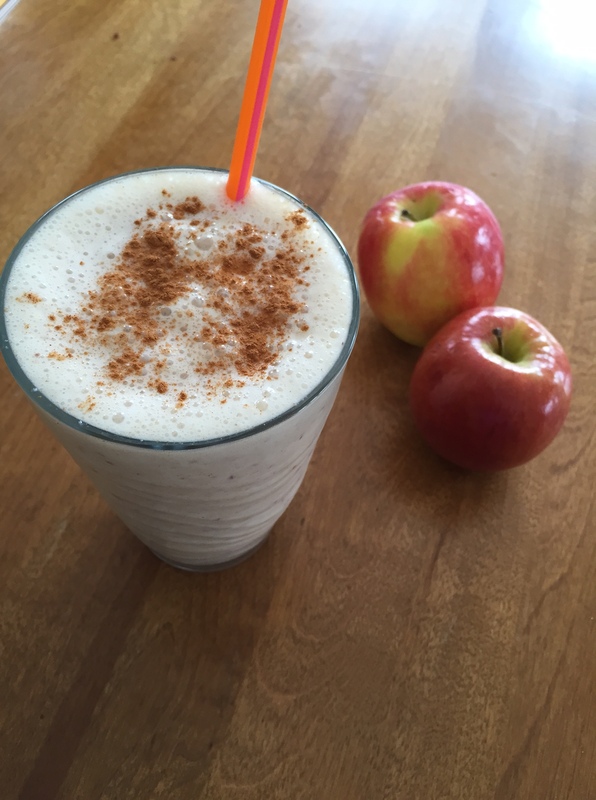 So I decided to make apple pie in shake form, which turned out to be almost as delicious! I added protein powder to make it the perfect post-workout snack. It tasted like a splurge, but without all the fat and sugar of real pie – I think I’ll save that for special occasions and enjoy these in the meantime! 1.) In a blender, add ice and the rest of the ingredients. Blend to desired consistency. Add stevia/sweetener to taste. 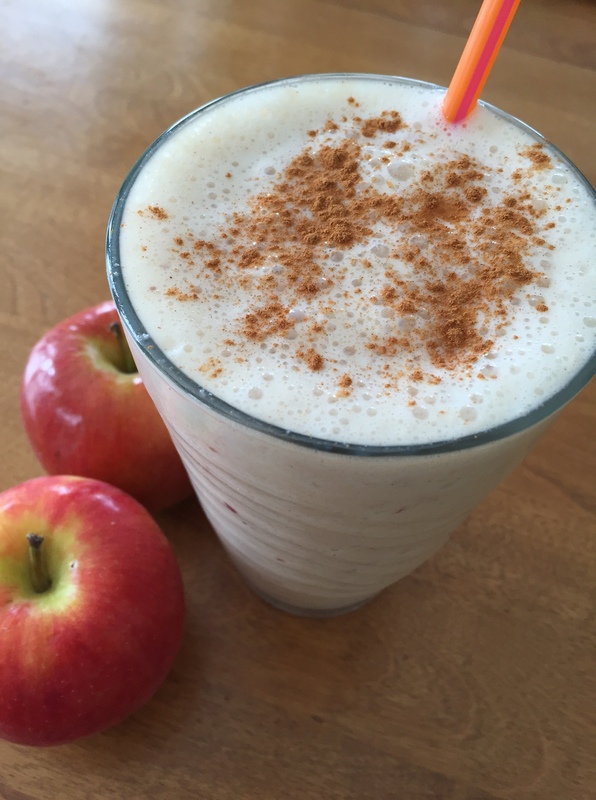 Top with more cinnamon and enjoy!